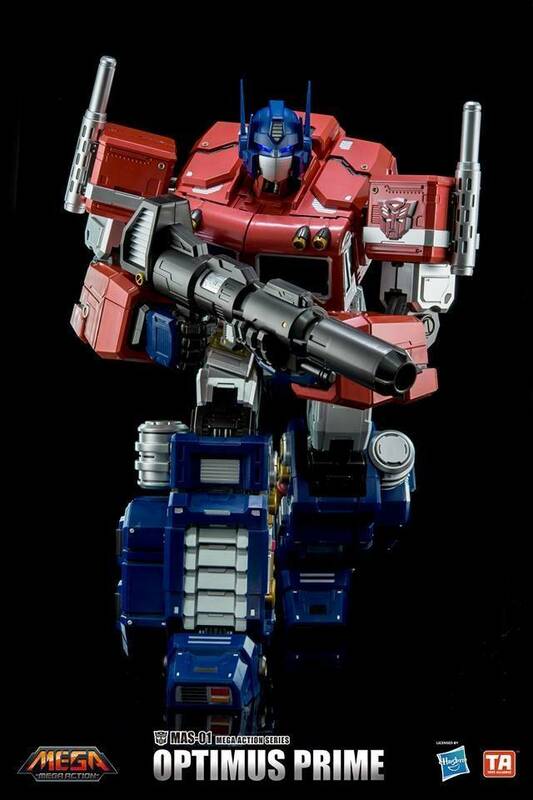 The ultimate Optimus Prime Figure, this fully licensed figure stands an impressive 18"/46 cm tall! Figure includes over 72 pieces of articulation and an LED light-up feature on his eyes and matrix. I just got mine today and it sure is huge! A really excellent looking figure. Extremely detailed and posable. The red could be a bit redder but I think it works with the style it is going for. For the price this is a hell of a piece. 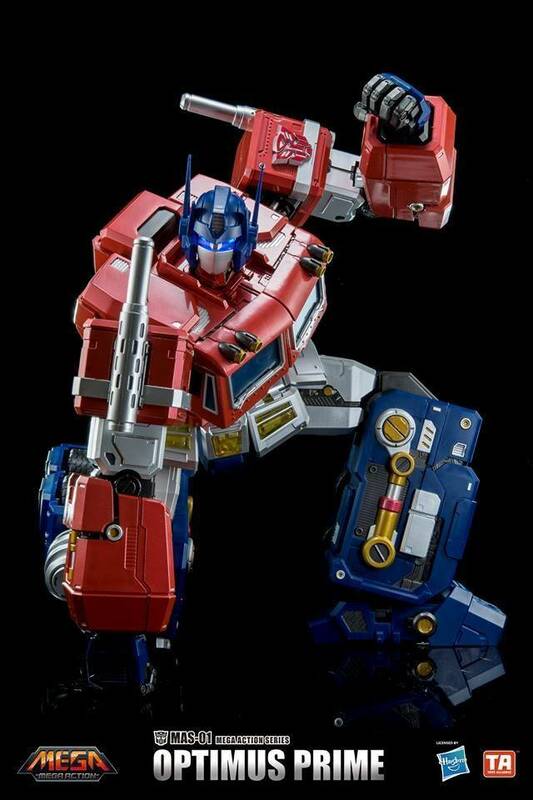 The only drawback in mind is no transformation but he is literally three times bigger than MP-10 and still costs less! i'm so happy that after 6 months of waiting, i finally got my hands on this. i'll probably buy one more so i can have two of this amazing and superb robot. the only little disappointing with it is, it's not made in Japan like most of us are hoping for. but other than that, i'll give this one 25 stars for being magnificent and affordable. giant,super poseable even the fingers,great price,the plastic feels a little cheap,not transformable but who cares,paint job is not perfect but for 180 dlls its ok,highly recommended. "HO. LEE. CRAP!! I LOVE IT!!" This thing is GINORMOUS! I couldn't be happier! 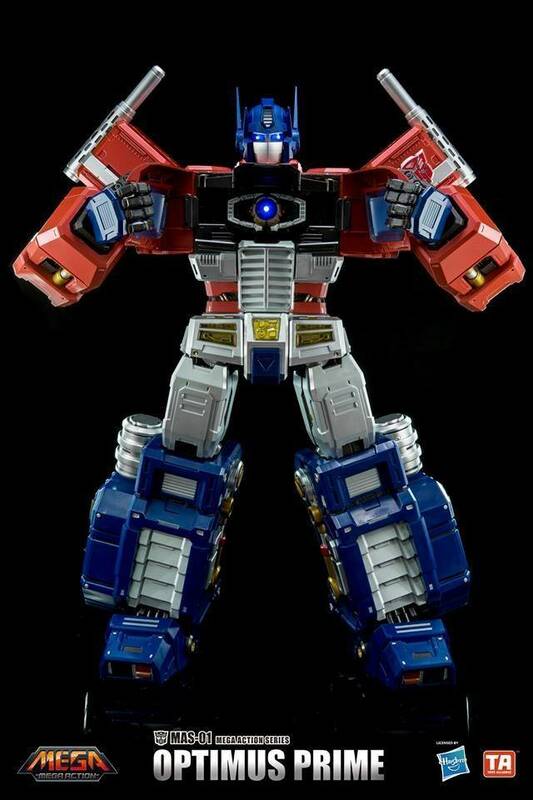 Non-transforming Transformers CAN be amazing! He dwarfs everything in my collection, as he should. Optimus Prime IS the most iconic robot in the history of man. He's deserving of an iconic figure like this. 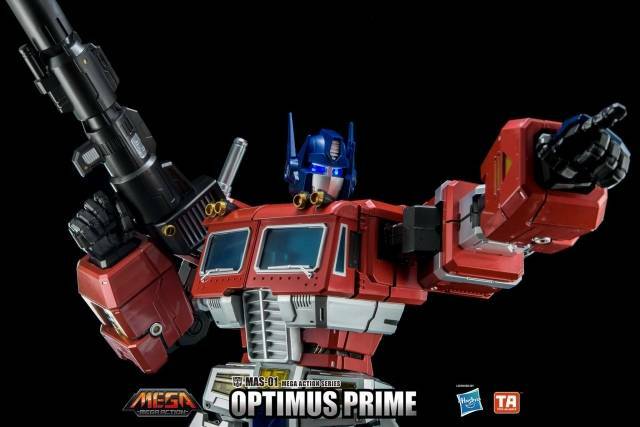 So, if you are spending this much, for a little more the ThreeA G1prime blows this away. Paint is actually hand applied and blows this away as I have both. Now, if you are looking for a cheaper unit then ok, this is nice but at price point you can get one that transforms for same amount. If you are looking for a real show stopper oversized art piece then add the extra money (wait a week to afford it if need be) and go for the ThreeA version which TF sells also. Blows this item away in so many ways I actually can’t begin to list....again I own both... just to add, I also own the ThreeA Ulta Magnus and nemesis Prime... that’s how amazing the design is... for transparency..I own ThreeA Michael bay Transformers Primes also and the G1 totally blows them away in quality, paint, poses and more!!! Your choice, if your a real fan of G1, you can have ehh or actually Art and ability. "Massive display piece! If you have the room... GET IT!" Very strong joints. Great articulation. Amazing paint application. MASSIVE size. Only downside is the matrix being so small and just thrown into the chest loosely as an afterthought but otherwise it is an amazing display piece! Eyes and matrix light up. Just ordered Megatron to display with him. Nice articulation but needs improvement on quality control particularly its paint application. Had mine replaced recently because of major paint imperfections. I thought the replacement would be better however it had more paint flaws than the last one. Toys Alliance should get their act together and improve their quality control. Not cool. "Put it in a pose and LEAVE IT"